As you may have notice in previous posts I’ve been having a lot of trouble this winter with dry, damaged, cracked skin…especially on my hands. I tried many products and finally found a good lineup which I wrote about in my original “Handy Tips for Cold Weather” post, but with the weather worsening (and George the cat tearing me to bits) my hands have gotten much much worse. With incredibly sore, cracked, bleeding hands I finally decided to look for help. Help came in the form of two new products. I would not categorize them within the ‘beauty’ product lineup since I technically bought them from a pharmacy. The first product is Uremol 20 Intense Relief Moisture Cream. Clinically shown to quickly relieve itchy, extra dry skin, this product is fragrance free, non-greasy and fast absorbing. I carry the tube with me everywhere and use it several times a day. 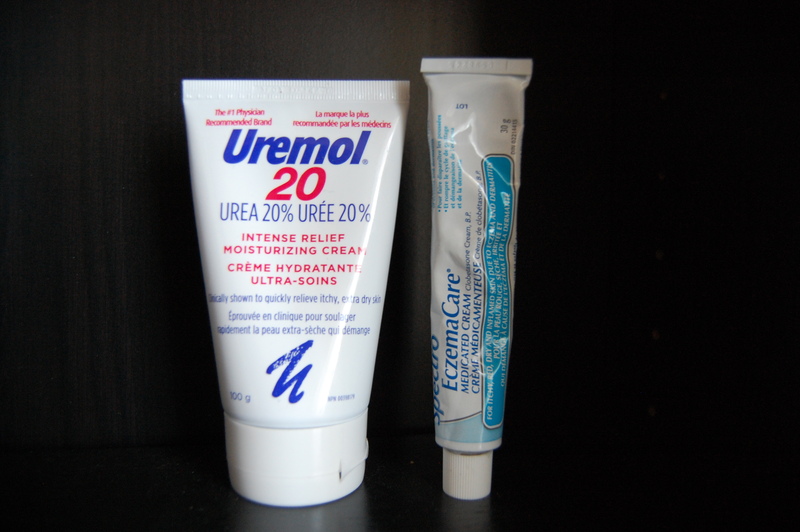 Many of my co-workers also complain about sore hands and I direct them to the cream in the depths of my bag, Uremol 20. They call it my ‘magic’ cream, and the name is true!! This is a wonderful cream! The second product is a medicated cream that can be bought over the counter, the highest medicated cream you can get without a prescription. The cream is Spectro EczemaCare Medicated Cream. Since the cream is medicated it is suggested that you only use it twice a day, and I love smoothing it over the backs of my hands before bed. I saw results pretty quickly too. The medicated cream quickly heals the damage already done and helps to prevent reoccurring issues. So although I have some pretty great products for dry hands, this Canadian winter has been brutal for all of us. So many of us are struggling with dry skin. But I wanted to share my solution, and hopefully those of you who are also struggling can heal and soothe your skin. Have you used any great healing and soothing skin products recently? Anyone else having cracked and dry skin issues?